Why Aren't My Birds Eating? * Please note - This page is written by WBU of Springfield, Illinois. We are locally owned and operated. We specialize in local, personal service, so encourage you to stop in so we can discuss the specifics of your yard and help you choose the best options for your situation. If you live out of the area, you can also find some of our products in our on-line shop - MyWBU. We often hear "There's no such thing as a feeder squirrels can't get into." 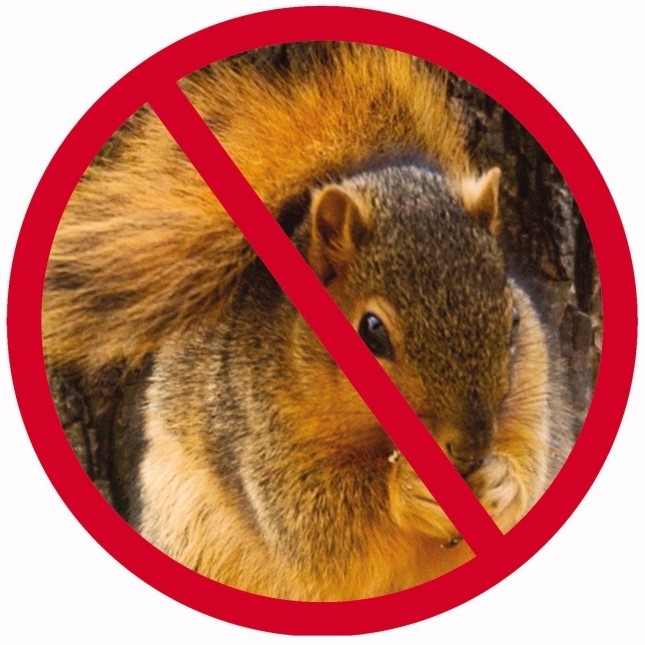 The reality is squirrel-proofing is actually quite easy if you know the rules (and follow them). No doubt squirrels are smart, but they do have physical limitations we can use to our advantage. 1. Use properly sized, metal baffles on tall poles. The top of a pole baffle should be 5' above the ground to prevent jump-overs, and the pole itself must be 10' from anything sturdy enough (tree, fence, house, etc) from which a squirrel could leap and gain access. The pole must also be tall enough so that all feeders stay above the top of the baffle. Most standard shepherd's crooks are not tall enough to achieve both of these rules. WBU's Advanced Pole System is. 2. 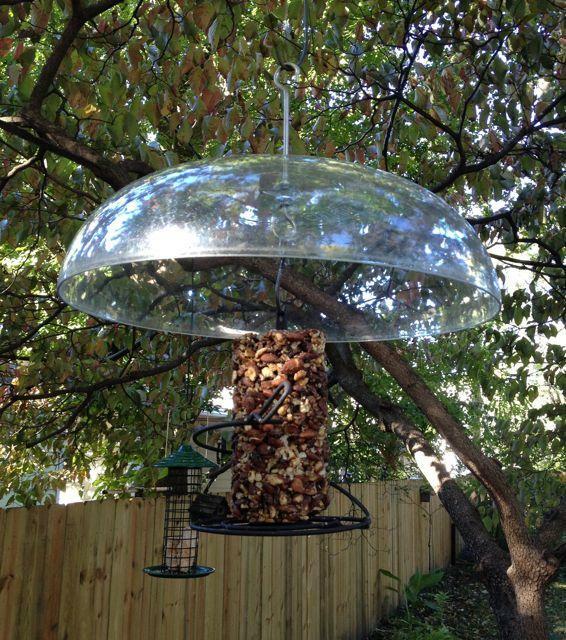 If a feeder is going to hang in a tree, a large overhead baffle can do the trick, but only if it is broad enough to allow the feeder to tuck up under the edges, and is hung far enough out from the tree trunk or low limbs so as to prevent sideways jumps. Many times these baffles fail because too large of a feeder is placed under the baffle and squirrels learn to catch some part of the feeder as they fall/leap through the air. Feel free to bring your feeder to WBU so we can set you up with the proper baffle for your feeder. 3. "On-Guard" Cages can fit over a variety of feeders and utilize 1 1/2" openings which allow smaller birds to feed, but exclude both gray and fox squirrels (as well as blackbirds and starlings). These are perfect for deck rail feeding or for when the arrangement of trees in a yard won't allow the use of baffles. The On-Guard stop squirrels and blackbirds, but large woodpeckers can still stretch their long necks and beaks to feed. 4. 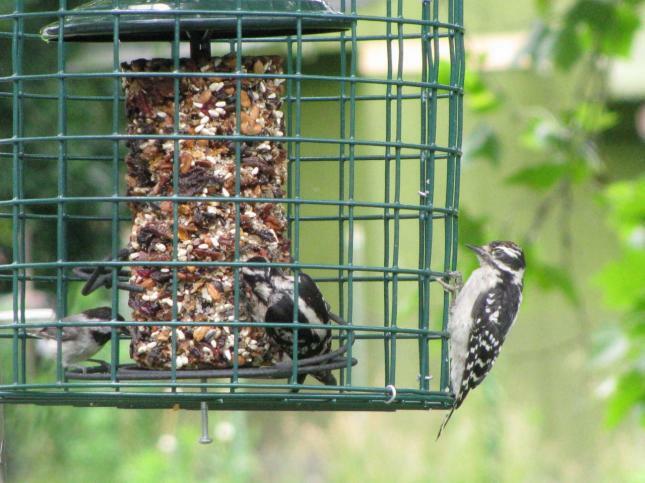 Squirrel-proof, weight activated feeders can be used in many situations. We stock several models that feature feed doors that shut closed under the weight of a squirrel and have proven themselves thousands of times. 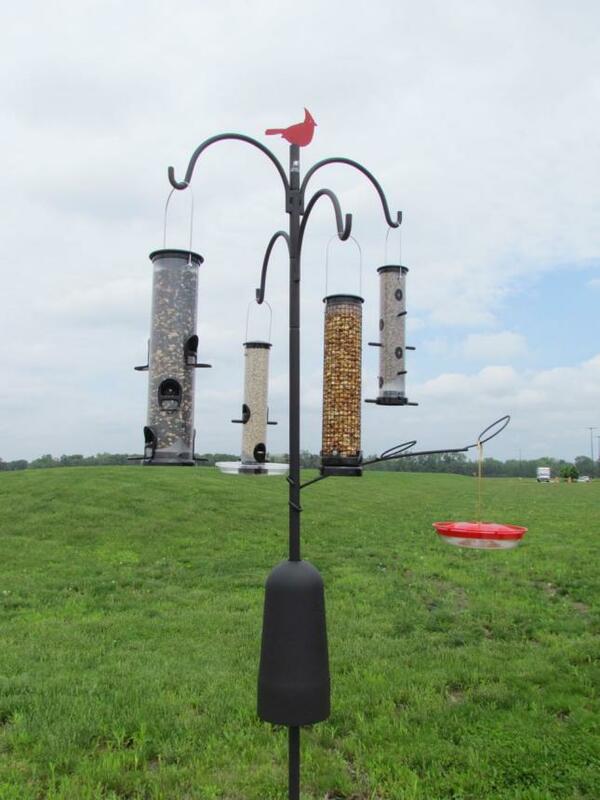 There are many knock-offs of these feeders out there that have subtle differences from our feeders, differences that create "weak links" in the designs and give the term "squirrel-proof" a bad reputation. We stock only models that have proven themselves in our own field testing and through years of success. 5. 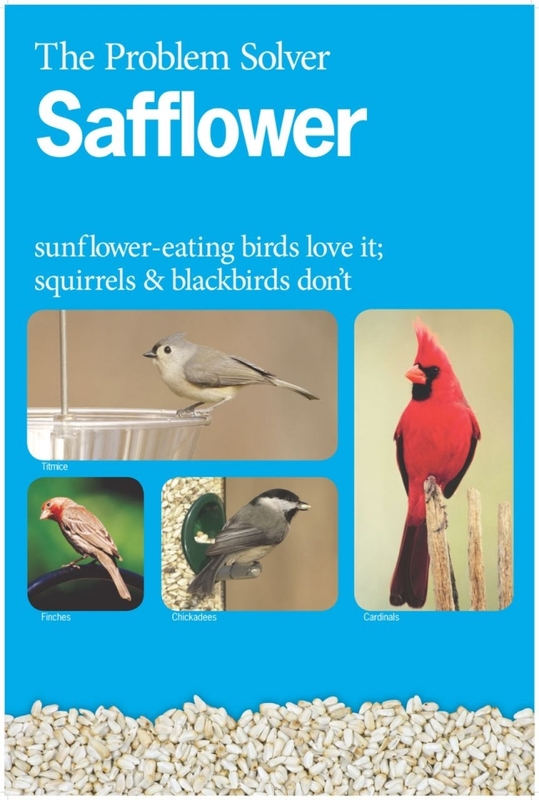 Use safflower seed. In our area, approximately 95% of squirrels won't eat safflower seed if it is used as the ONLY seed in a feeder (you can't mix it). So while that may not be 100% squirrel proof, it can be another extremely useful tool in squirrel management. 6. Give 'em some heat! 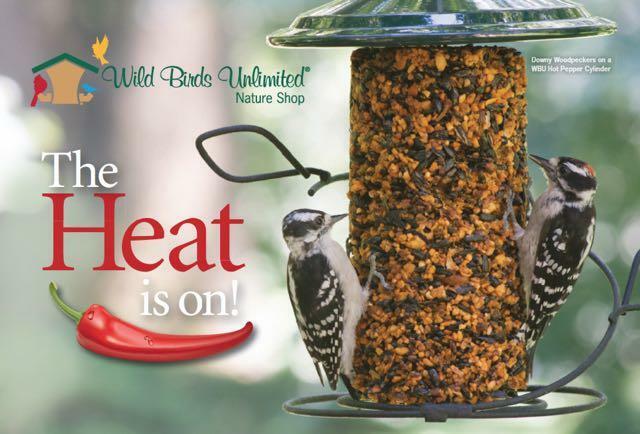 We stock Hot Pepper Suet Cakes, Hot Pepper Suet Cylinders, and Hot Pepper Seed & Nut Cylinders. Birds lack the heat receptors mammals have, so are not affected by the hot pepper, yet most squirrels take one bite and don't come back. Sure, there are a few squirrels who don't seem to mind, but these products work well for the majority of people. *Note - We do not recommend loose pepper powders be mixed into seed blends as these can become airborne and inhaled into the respiratory system. The pepper bound into the suet and cylinders does not create this issue. You've asked for it and it's here! After much scientific research and many months of field testing - including in my own back yard - we introduce FIERY FEAST, a Hot Pepper No-Mess Blend. This is a squirrel-resistant blend that allows you to offer our high quality seed blend in those feeders that are hard to baffle. Now you can feed birds in feeders on your deck rail, in a window feeder, or any other feeder that was hard to squirrel proof before. Birds don't have the same heat receptors in their taste buds as the squirrels, so the birds aren't affected by the pepper, but most squirrels will leave it alone. 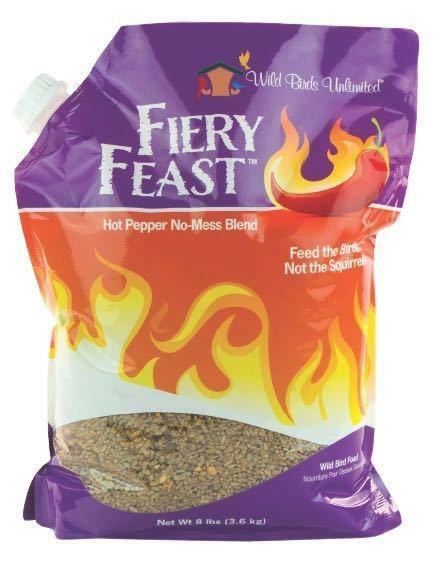 Fiery Feast is a perfect complement to our line of Hot Pepper Cylinders, Hot Suet cakes, and Hot Bark Butter Bits.